The bombshell investigation, part of a two-year reporting project on so-called copy-paste legislation, where lobbyists use the same bill language in states across the country for a variety of different special interests, details how more than 600 lobbyists in 43 states have been implemented to allow used car dealerships to sell cars with known, dangerous issues. One would think this is an indefensible position. 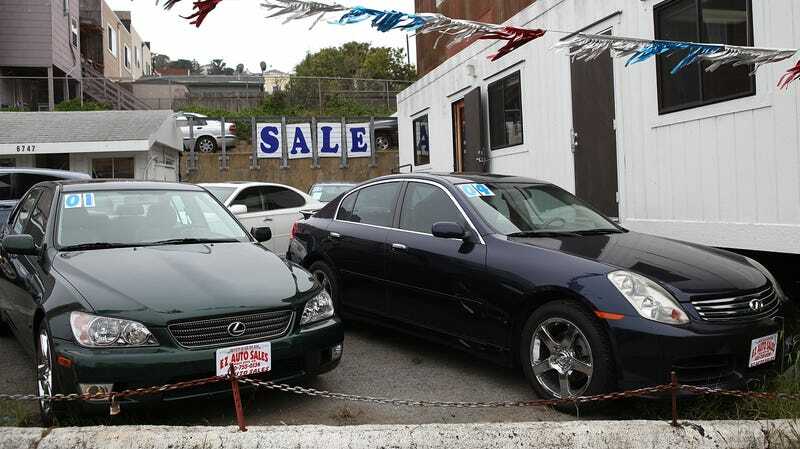 After all, as the article points out, new car dealerships cannot sell recalled vehicles. Why should used cars be any different? Who could possibly defend the legality of selling a product with known safety issues? One of the chief lobbyists told USA Today that there was nothing wrong with any of this, since dealers still have to inform customers of the recall. But the law doesn’t specify how or when they have to disclose it, so naturally used car dealers tend to do so in the time and manner least likely to influence or even come to the attention of the prospective buyer. Do read the entire article and check out the series on copy-paste legislation.